Many landlords we hear from believe that a thorough, well-written and lawyer-approved lease should contain all the rules and regulations a tenant needs to follow. And that’s partly true. But there’s a difference between the terms of a lease and the everyday policies you want your tenants to follow. As a rule, leases are where the legalese lives: the legal description of the property, legal names of the parties involved, legal termininology, and the landlord’s legal recourse when terms are not followed. 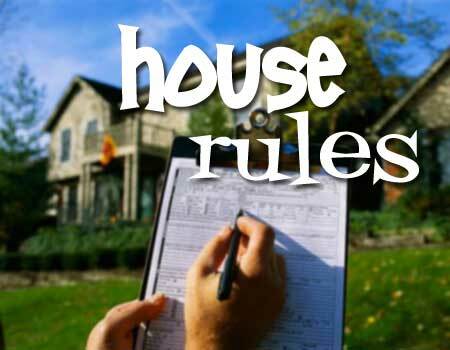 The “house rules” are generally more relaxed in language, are more flexible (i.e., they can change at any time with notice to all residents) and are simply intended to help everyone get along better and live in harmony. They are generally not legally-enforceable documents. A signature on your list of policies or house rules is just as important as the signature on the lease. You want to be clear that your tenant understands the rules and agrees to abide by them. Review them together at the time of the lease signing, and be sure to ask if any item needs clarification. Noise: Emphasize that consideration for other tenants is required, and that while your rental unit is well-constructed, it is not to be considered sound proof. Noises that disrupt others’ quiet enjoyment are not allowed. Include quiet hours, if desired. Window Treatments: Here you’ll include whether or not blinds or drapes are included with the rental unit and what care they require. If no treatments are provided, you may want to specify what color and type of coverings are allowed—and what are not allowed (like aluminum foil). Keys: Any key replacement fee should be included here, as well as emergency lock-out fees if a tenant forgets his or her keys after hours. Inclement Weather Procedures: Inform tenants of your requests during times of high winds, low temperatures, or high rain, as well as thermostat settings when the rental unit is occupied for specified lengths of time. Trash and Recycling: Tenants need to know what can be recycled and where it goes, along with non-recyclable trash. Parking: Where tenants are allowed to park, how many vehicles each unit is allowed to keep onsite, where not to park, and whether or not non-running vehicles are allowed are some of the rules you’ll want to spell out here. Common Areas: Are tenants allowed to leave property in common areas like hallways, sidewalks and patios? Who is responsible for clearing snow and ice from walkways? Spell these things out here. Storage: Indicate where tenant storage is located, how they can access it, and any limitations (flammables, vehicles, dangerous chemicals, etc). Guests: Include things like where guests may park their vehicles and tenants’ responsibilities for their guests. Bicycle Parking: As bicycle commuting becomes more popular, many tenants will want to know where they can park their bikes. If you don’t want them chained to fences or balcony railings, specify where bike parking is allowed. Better yet, create special areas for bikes that are convenient and secure for cycling tenants. Presenting a friendly list of house rules lets all tenants know what is expected of them and their fellow tenants. After all, who (besides fraternity kids, perhaps) wants to live in a place where there are no rules? October Home Sales Plummet, More Renters On the Way? According to a report on CNNMoney.com, home builders had a terrible month in October, with new home sales falling 80% from the top of the boom five years ago. Commerce Department figures show sales dropped to an annual pace of just 283,000, down 8.1% from September. Last October, the annualized sales rate was 430,000. This year’s figure represents a whopping 28.5% decline from 12 months ago. Experts had predicted 2010 sales in October to be around 314,000—and were surprised by the dismal showing. The peak pace was set in July 2005, at 1.4 million sales, and despite attractive mortgage rates, sales remain sluggish as 2010 comes to a close. The total number of homes on the market has dropped 20% since October, 2009. First-time buyers were more likely to jump into homeownership, without the burden of selling an existing home. Getting a mortgage is still a challenge, and many potential buyers are unable to obtain financing. The chief economist for the National Association of Home Builders (NAHB) blames the lower home sales figures on a drop in the number of people forming households. Unemployment and the slow economy mean people are staying at home with their parents longer, moving in with friends, or not getting married. Individuals who cannot get financing to buy a home, and those unwilling to risk taking on a long-term situation like homeownership in this shaky economy will continue to turn to the rental market. For many, renting continues to be a more viable option—especially with shorter-term leases. Landlords are responding by becoming more flexible with six-month or even month-to-month leases to accommodate changing needs. If you’re a new investment property owner, starting out with all your paperwork in place is a must-do. That means compiling a lease agreement before you show your rental property to a prospective tenant—no matter how badly you want or need to rent it. Depending on where you live or where your rental property sits, you’ll have specific requirements unique to that state or locality. Be sure to familiarize yourself with the requirements of your state. But in general, the same provisions apply to most residential lease agreements no matter where the property is located. Most important: you need to be sure your lease agreement protects your property, your other tenants, and your business and personal resources. Use and Occupancy: Explain how the property may be used (i.e. “for residential purposes”) and a list of names of authorized occupants. Rent Payment: State the amount of the rent, how it is to be paid, and penalties for late payments and insufficient funds. Consider a statement that no partial rent payments will be accepted (to avoid any problems if eviction becomes necessary). Security Deposit: state the amount of the deposit due upon signing the lease, as well as conditions for return of the security deposit. Default: Explain events of default and remedies. Utilities: State who pays for which utilities, including gas, telephone, cable, internet, electricity, water, sewer and trash pickup. Covenant of Quiet Enjoyment: This explains that the tenant, upon fulfilling his or her obligations under the lease, may peaceably and quietly enjoy the premises without interference by the landlord or a representative thereof. Assignment or Subletting: State whether or not the tenant is allowed to assign the lease or sublet the property, and if so, set the conditions under which they may. Pets: State whether or not pets are allowed and any restrictions related to type, size, breed, number, etc. 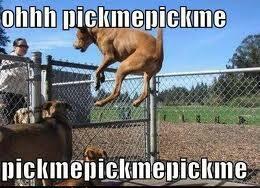 Also include the amount of any required pet deposit or fee and conditions for return at the end of the lease. Maintenance, Damage and Alterations: States what maintenance the property owner is responsible for, what the tenant is required to do to maintain heating and plumbing systems, when routine maintenance inspections will be conducted, conditions under which the property owner may enter the unit for emergency repairs, and what alterations (paint, for example) are allowed. Insurance: Explain what type and level of renter’s insurance is required, if any. Abandonment: Defines what may be considered abandonment of the property by the tenant, and the landlord’s rights when it occurs. Right to Enter Premises: States when and under what circumstances the property owner or representative will be allowed to enter the rental unit, i.e., number of hours or days of notice. Other notices, indemnities and covenants are likely to be required in a particular state or by your attorney. 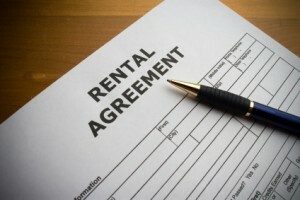 It’s always best to have legal counsel review your residential lease prior to using it. 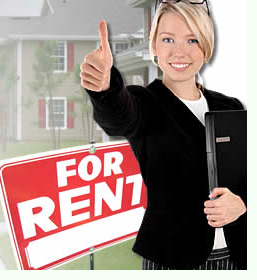 Any forms or information provided by E-Renter USA is not intended to replace legal advice. You are advised to consult an attorney in your area, and to check all local and state regulations. Would you like to eliminate the need to deposit rent checks? How tired are you of hearing excuses for late rent payments? Want to make it easier for your tenants to pay their rent on time? Consider online rent collection. After all, if you already pay your bills online—it makes sense to use this technology for your rental income, too. And if you asked your tenants, they’d probably vote in favor of online rent payment. SmartRentOnline.com: Fees are limited to $2 per transaction; no monthly or setup fees are charged. This service allows you to choose who pays the transaction fee: you, your tenants, or a 50/50 split. Tenants set up their bank account information and rent funds are transferred through Automatic Clearing House (ACH) transactions to your bank. Auto-payment means the tenant doesn’t need to worry about it—rent is deducted on the same day of the month, every month. Or, tenants can choose manual payment with reminder emails. Simplify’em Pay Rent: With this awkwardly-named service, $5 per tenant per month, gets you get unlimited transactions, tenant billing, and detailed reports. Full income and expense tracking is available to integrate with the company’s property management software. 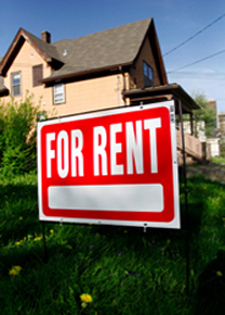 RAMSrent offers landlords and property managers a portal through which tenants can apply for housing and pay rent. Tenants may choose to pay by check, Visa, or MasterCard, with a discount on convenience fees. PayourRent.com also allows tenants to set up automatic rent payments through e-check or credit card. It offers additional features, too, such as online rental application and maintenance requests, plus a portal to connect all utilities (electric, gas, cable, internet and more) through one interface. You can even post announcements for tenants to see when they check in to pay their rent. There are no setup fees and no monthly fees for 10 or more transactions per month. Multiple bank accounts are okay, too. PayClix.com is a secure site with no monthly fees and full reporting, such as email notification each time a payment is made. Landlords and property managers can choose to accept or reject each payment. This eliminates the issue of accepting partial rent payments from tenants, which can complicate eviction proceedings. Eliminating the hassle of collecting rent checks could be worth the fees involved in online rent payment services. Check out the sites above (none of which is affiliated with E-Renter.com) and see if there is one that fits your needs! Experienced landlords know that into every investment property business an eviction or two will fall. Okay, so that’s a stretch from the old adage, “into every life a little rain must fall,” but it illustrates our point: most landlords will experience the eviction process sooner or later. If you’re a landlord who’s been fortunate to avoid evicting tenants so far, but are expecting that lucky streak to end soon, you may be experiencing some anxiety about the process. After all, times are tough and tenants everywhere are having a more difficult time with a job market that doesn’t seem like it will ever improve. Here are a five things to remember when you face evicting tenants—an unpleasant task no matter how long you’ve been a landlord. Are You Up to Evicting a Tenant? If you’re having trouble evicting a tenant who has failed to live up to the terms of his or her lease, consider that being a landlord may not be your cup of tea. Owning rental property can be a tough business; it takes a tough person to be successful. Did you Buy an Investment Property or a Non-Profit Organization? Most landlords invest in property to make a profit. The few who don’t want or need to make a profit must be running a charity. If you’re not one of those, remember that you cannot afford to lose money on tenants who damage your property, don’t pay rent on time, or won’t follow your rules. Being Too Nice Hardly Ever Pays. When you allow tenants to call the shots, some of them take advantage. They sense weakness, which gives them permission them to behave badly. If tenants don’t pay rent on time or otherwise live up to the lease they signed, deal with the situation quickly and move on. Not only will it send a clear message that you are not to be taken advantage of, it also allows you to bring in better tenants. And remember to properly pre-screen all tenants before signing a new lease. Drama is For the Stage, Not Your Investment Portfolio. 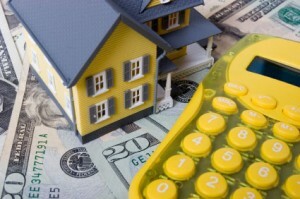 Investing in rental property is a business decision. Running your business is not meant to be entertainment. Drama has no place in a business relationship between a landlord and tenant. Nothing in it is worth losing sleep or money over. Keep your relationship with tenants professional and do not allow your feelings to override your business decisions. If Eviction is Necessary, It’s Not Because of Anything You’ve Done. Remember, you’re not at fault. Theoretically, both parties agreed to the terms of the lease. If you’ve held up your end of the agreement, and your tenant has not, you are usually well within your rights to move toward eviction. That’s why the law allows for eviction. Of course, if you’ve never been through the eviction process or need legal counsel on how to deal with a problem tenant, it’s best to consult your attorney. Eviction jitters are easy enough to get past—and moving on is good for you and for your business!